We love fun project that turn out totally amazing at the same time too ;). 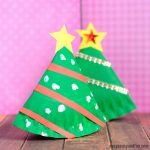 This simple 3D paper Christmas tree is such an adorable little craft for kindergarten and preschool as it will have the kids work on their scissor skills. 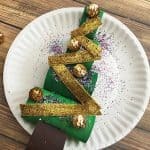 Are you feeling jolly already? 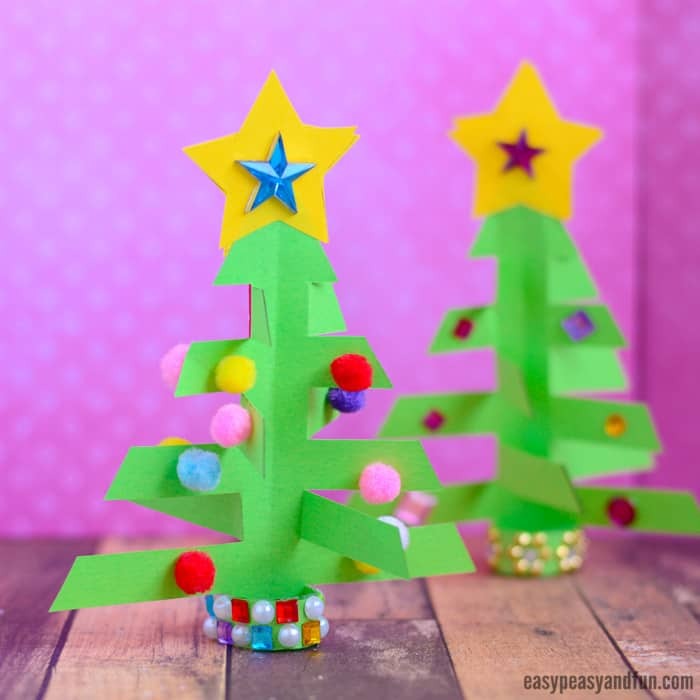 We sure are – and are really excited to start sharing all the wonderful Christmas tree crafts for kids to make! 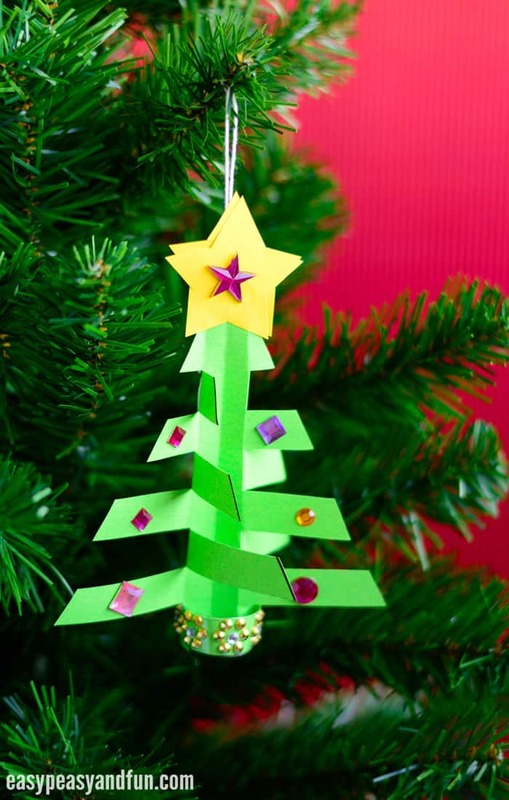 We have made them from all kinds of materials already, but our favorite is certainly paper. 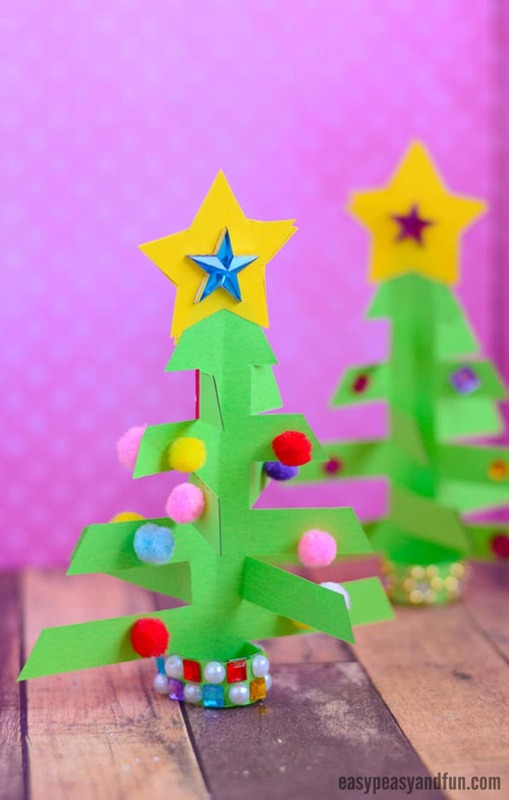 Nothing beats frugal and kids love construction paper crafts. 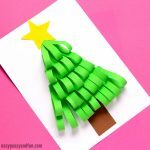 We created a template for this Christmas tree craft (you can grab it at the end of this tutorial), but it’s certainly one that can be done without as it really is insanely easy as you will soon see. 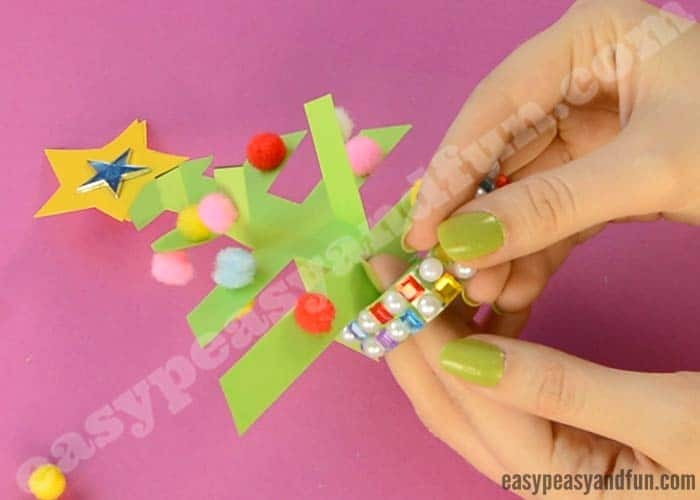 You can make it with paper only OR you can go just a bit more jolly, like we have, and add pom poms or gemstones – although you will have to take some things into account – but more about this in the actual tutorial. Ready? 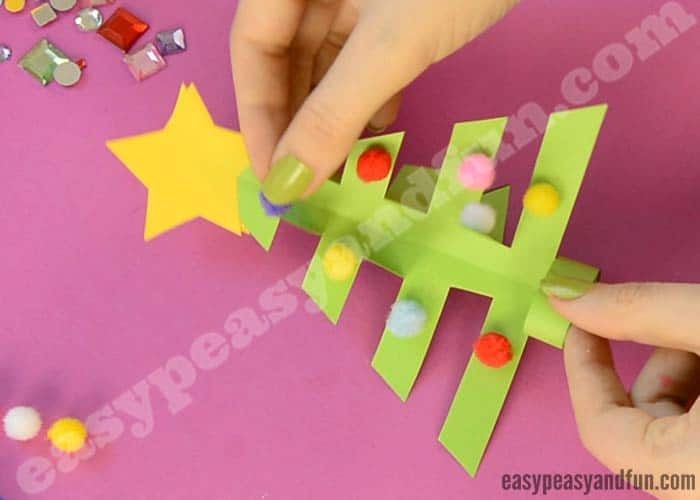 Lets’ make this adorable little Christmas craft! 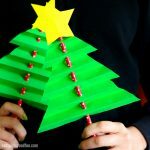 This can be (with or without a template) a great classroom construction paper Christmas craft. This one can be made with or without our printable template. 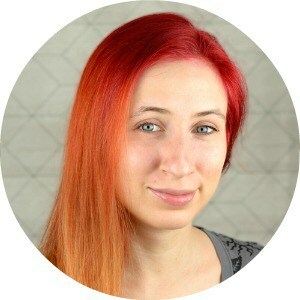 If you have choose our template (there are two sizes), printing them on heavier print paper is desired as regular print paper, while it will work out OK for the smaller model, won’t be strong enough for larger one. 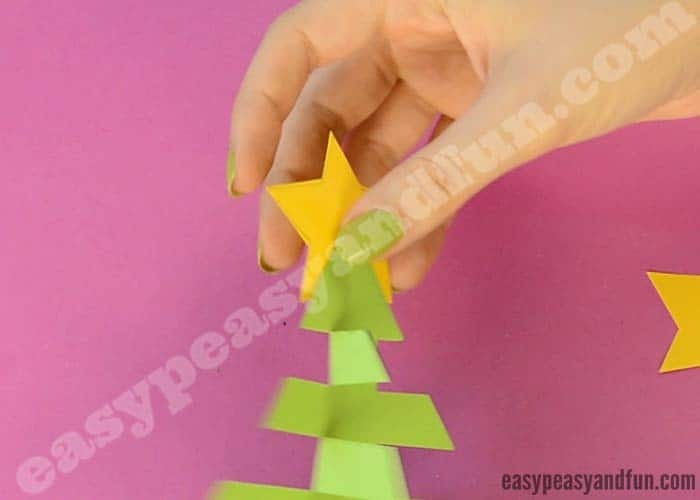 If you printed the template on regular print paper, it will be able to stand on it’s own with moderate decorations (a few gemstones, pom poms or paper), but if the decorations are to heavy, the tree will be knocked over (if you’ll be hanging them on a thread and use as ornaments this is fine though). Once again, heavier print paper or construction paper is best. 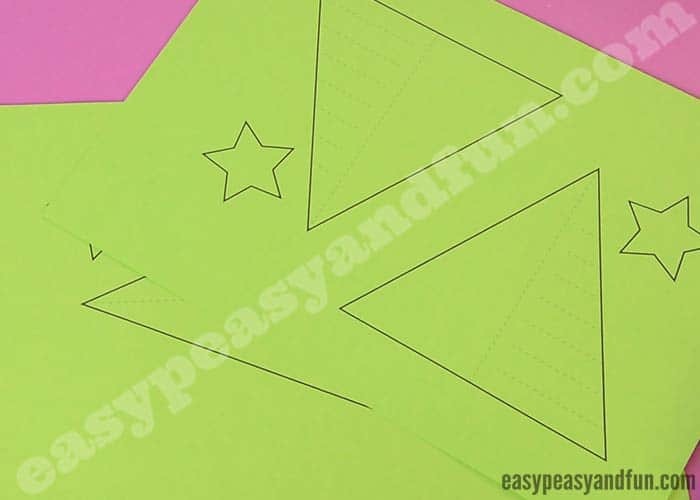 Cut out the star and the Christmas tree outline. 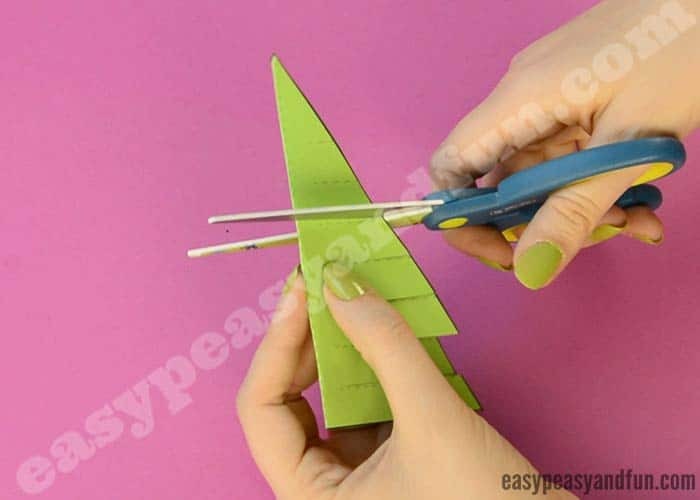 Fold the little tree triangle in half (marked by a dashed line). 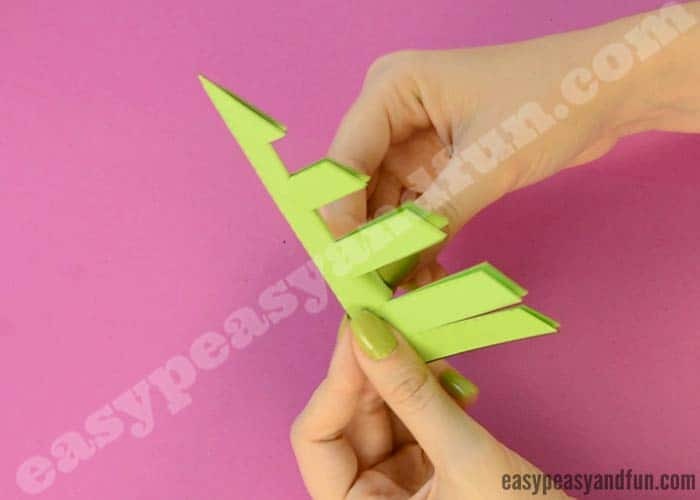 You can unfold the triangle first and fold each strip separately, or you can leave the triangle folded (as we did) and fold every second pair of paper strips (it does not matter to which side, as the point is to “mark” the folds). 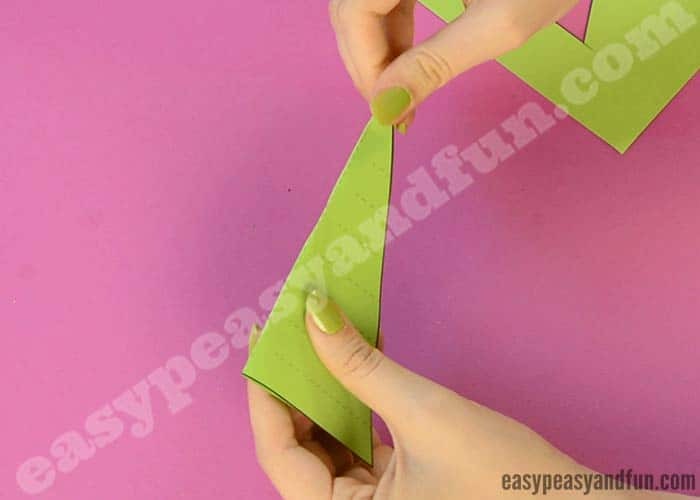 You will see some of the paper strips have the fold and some don’t (from the previous step). 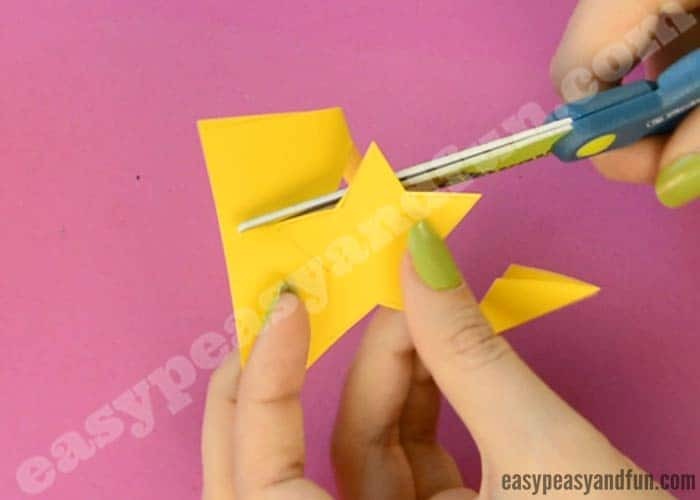 Fold some of those so that they point towards the “front” and fold some to point at the oposite side – in essence fold them at a 90 degree angle to the strips that don’t have folds. 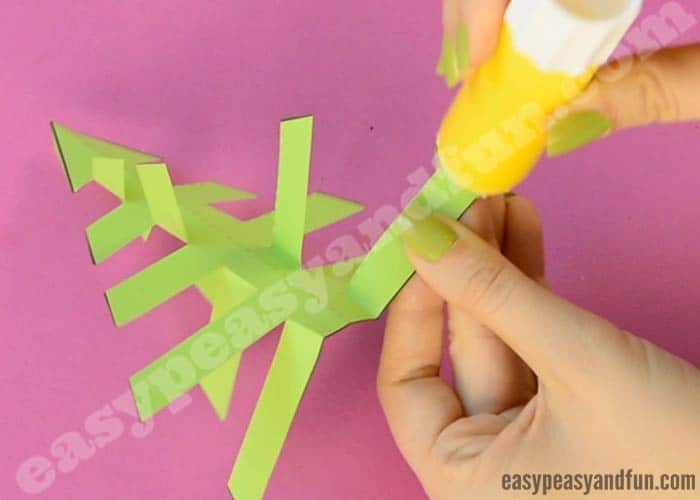 On the last two strips of paper, apply a bit of glue at the end, and glue them to the base of the other strip (do the same with both). 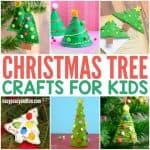 This way you will create a “tree trunk”. 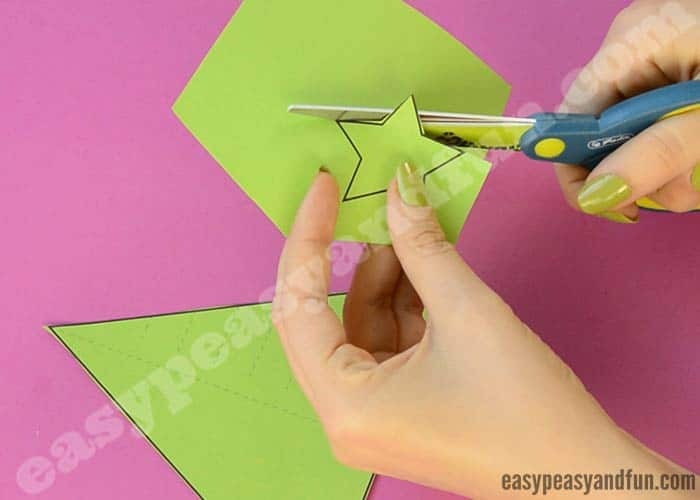 Cut the star out of yellow paper (two stars are even better). 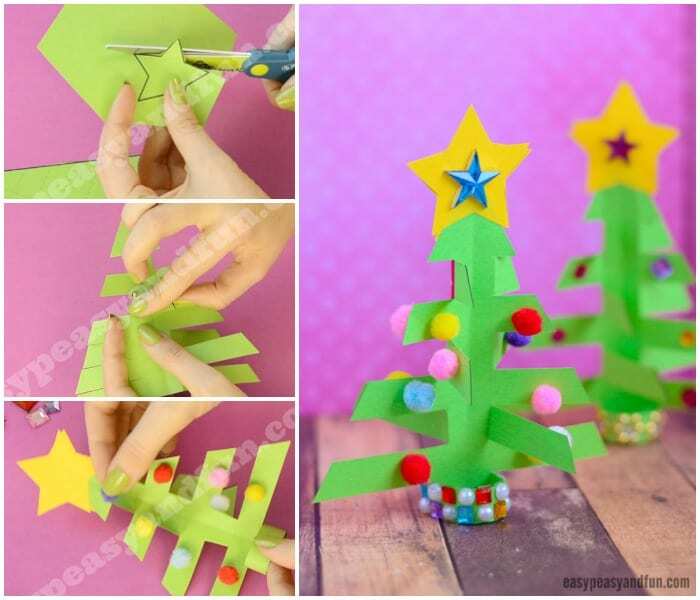 Glue the star on top of the tree (on both sides if you have two stars). 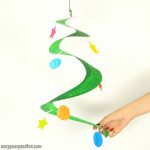 If using this as an ornament, also glue on a string at the top for hanging. 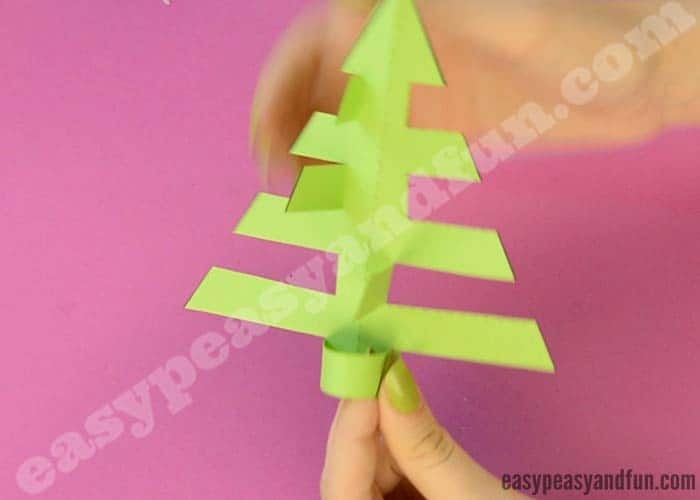 All done, this sure is the simplest 3d paper Christmas tree craft isn’t it!